Do you want to earn sitting at home, be a web expert or become a social media influencer. Well, the answer to all is become a professional blogger. It takes hardly five minutes to start a free blog on blogger or wordpress. You will find a no. of profiles online who are in full time blogging but very few make it up to the top. So what it takes to build reputation and recognition online. You may often search for something on web and come to a blog website over and over again. Does that makes you ponder why the site is on top for so many searches despite the fact that it is run by a single individual. Some websites which are run by bloggers do rake up on top for hundreds of searches. 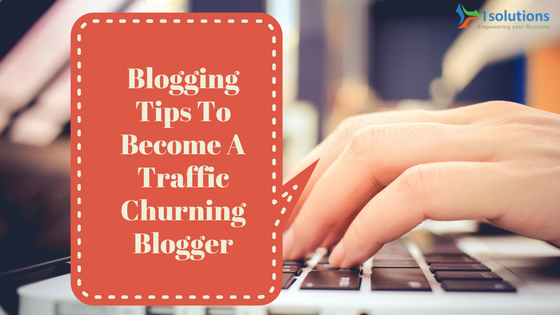 So what is it that can make you a top notch blogger. Here are some magic ingredients for becoming a top blogger. If a user is coming to your blog in search of a topic it is clear that he wants to understand it better. Be it website design tips or tech specs or any other topic, make sure you give a detailed explanation of the topic. Support your post by topic by adding screenshots or videos than will help user to understand easily. It is good to cover variety of topics rather than confiding to a particular area. It is good to be a subject expert but sometime down you will feel that the topics have dried up. So it will be better if you cover different topics. Also it will make your website populated with diverse topics which will be helpful in the long run. Keep your blog open for comments and feedbacks. Yes, there can be spamming but you can easily avoid it using comment posting tools like ‘disqus‘. It will not only allow the users to post their feedback or queries but will also make your blog interactive. Without properly spreading your content, you cannot expect it to be come popular. Using Social media tools like facebook and twitter can help you to reach out global readers. This will not only help you to reshare your content but also increase your social media popularity index. Good blogging comes with good quality content. But a good quality content is as good as half dead if it is not shared properly on social media and reaches the right target audience. For bringing good traffic to your blog, you need to ensure that your blog is visually pleasing apart from having good content in it. Entice the people to subscribe for your newsletter to send them regular updates and keep the conversation going to increase the engagement.